Our head turning Sound Activated LED Badge is sure to bring light to your nighttime events. 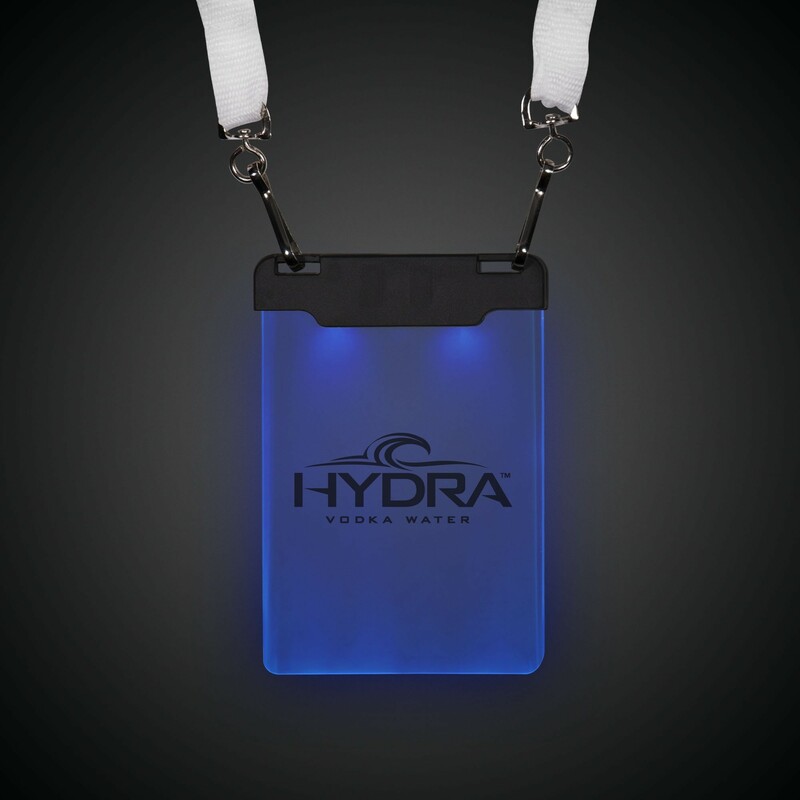 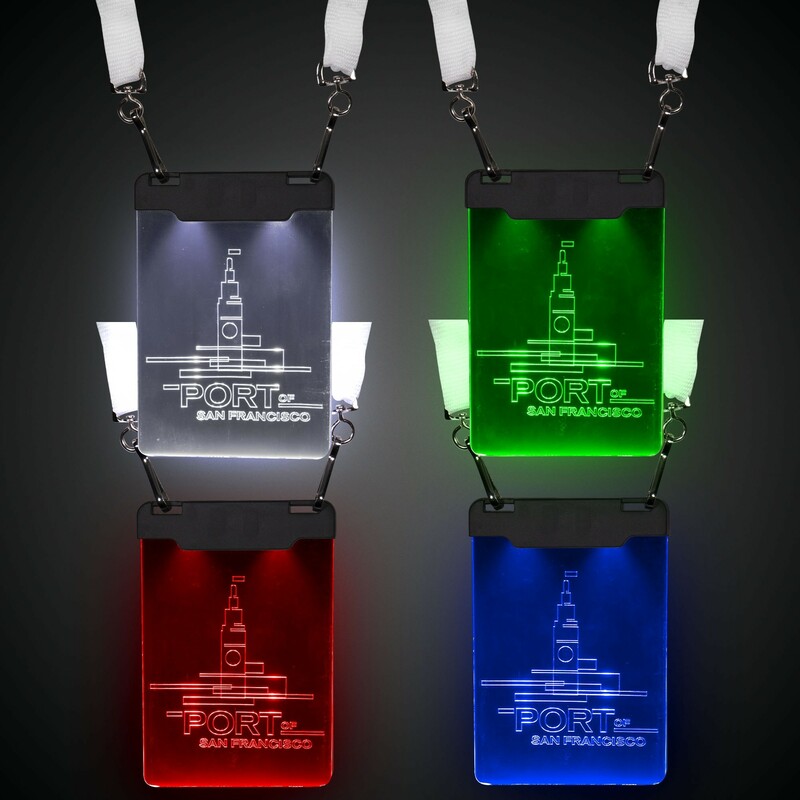 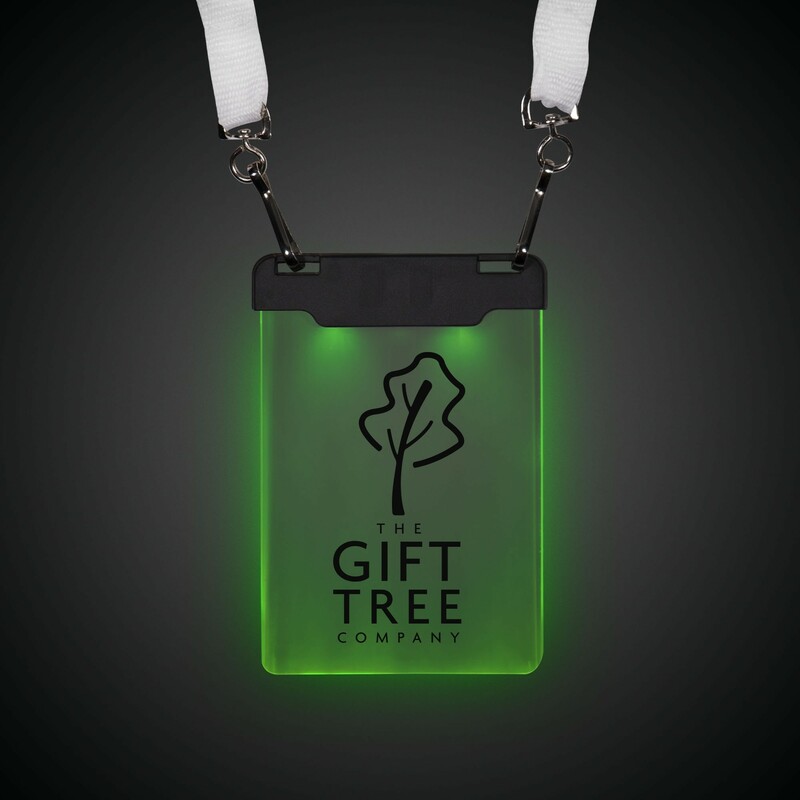 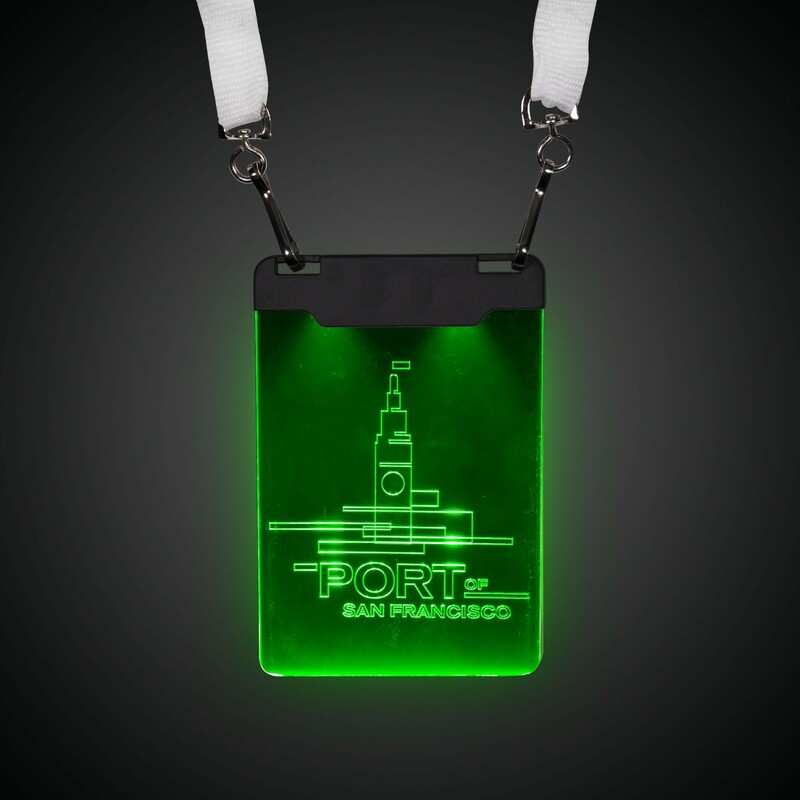 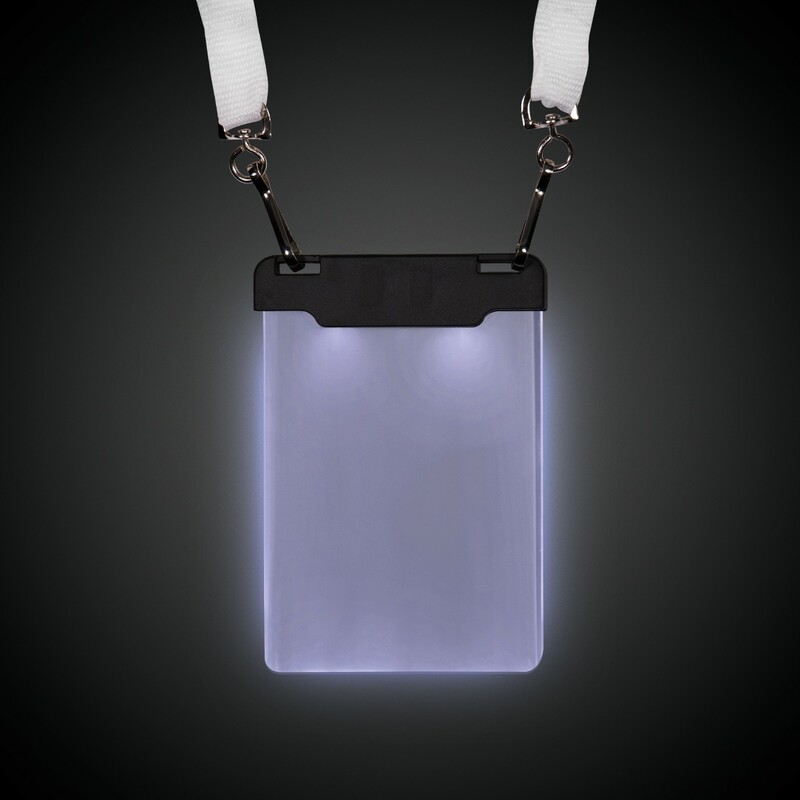 Each LED badge measures 4.5" high by 3" wide and comes on a 38" white flat fabric breakaway lanyard attached. 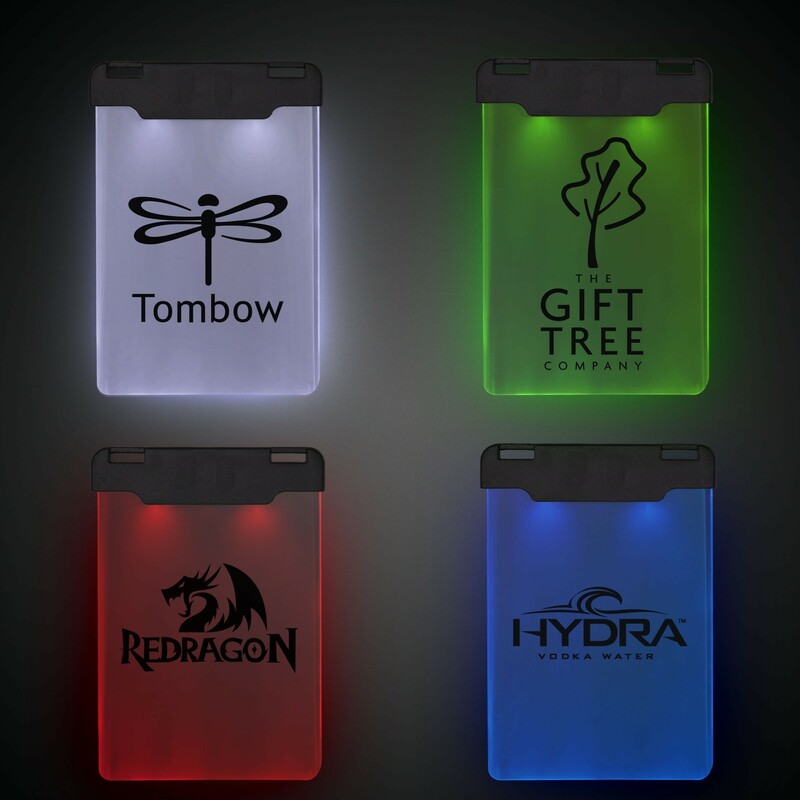 Slide the switch up for sound activated lights. 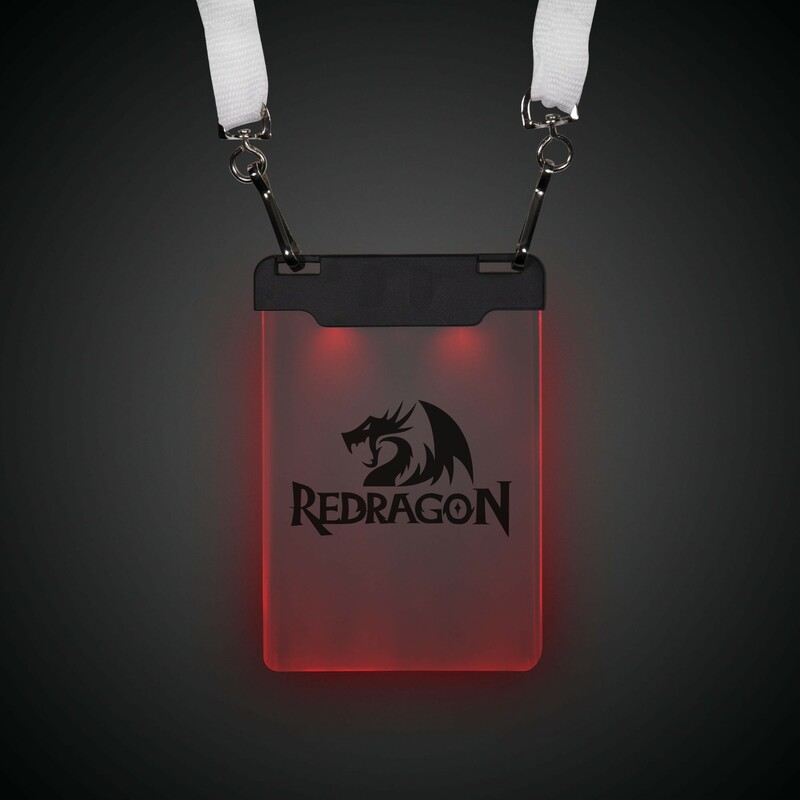 Slide the switch down for steady on lights. 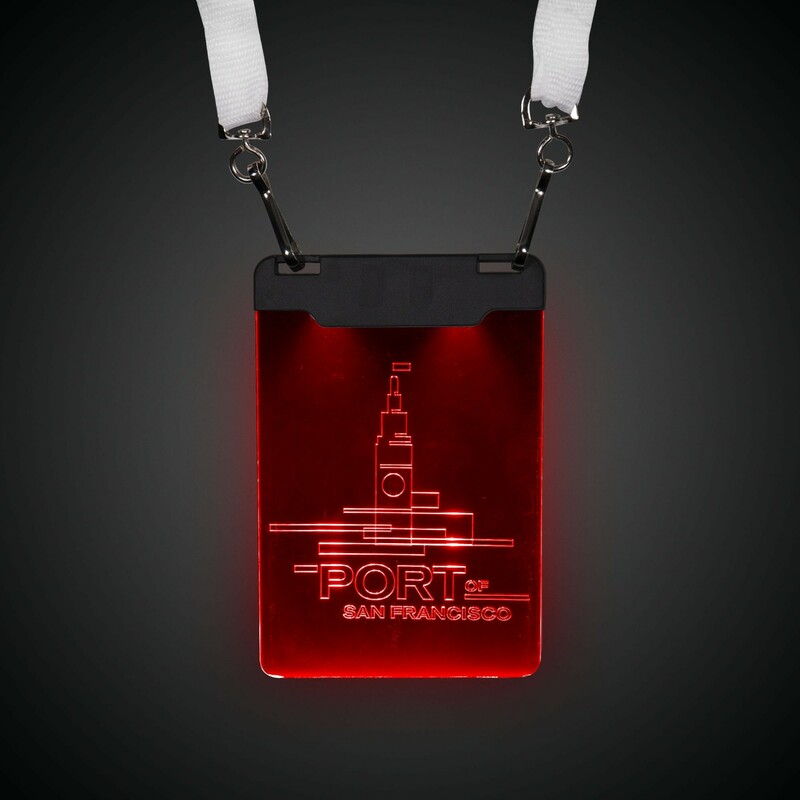 The LED light at the top of the pendant lights the badge throughout the night making your logo pop at any nighttime event. 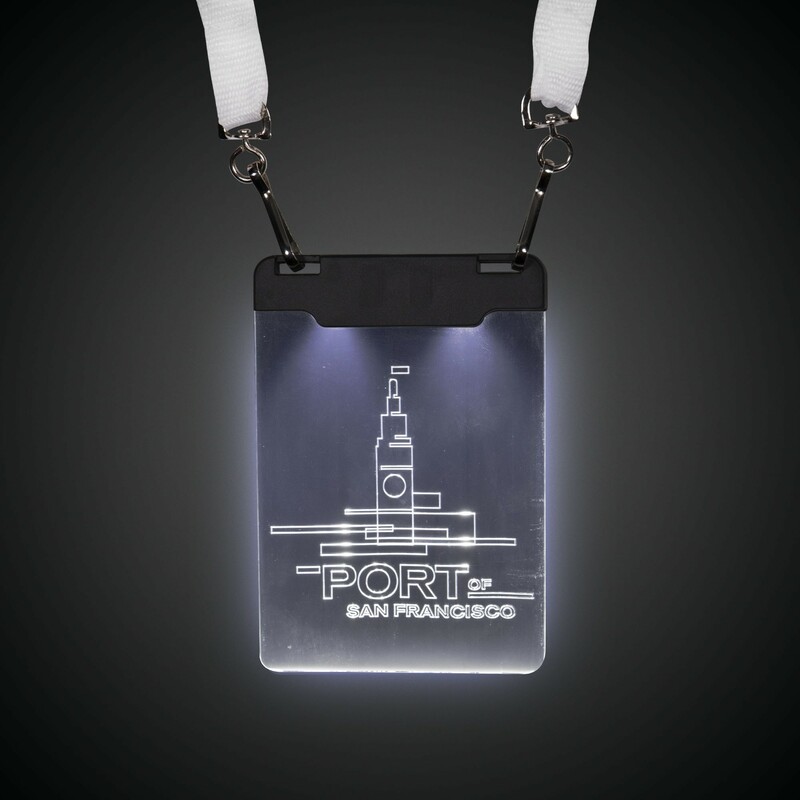 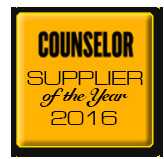 Not only for parties but good for runners, dog walkers, and giveaways! Sold by the piece, our Sound Activated LED Badge has 2 replaceable CR1220 batteries included and installed.